Sweater weather and trick-or-treaters are coming up sooner than you’d think, but Showtime has plenty of new offerings this October for those of us who’d rather stay inside for the first full month of fall. And it’s not all just Halloween fare, either. Showtime’s original TV slate is led by the return of Ray Donovan for its sixth season. In the new season, fixer Ray Donovan (Liev Schreiber) is rebuilding both his personal and professional life in New York City, with the help of Hollywood studio head Samantha Winslow, played by Susan Sarandon in her first season as a series regular. The season premiere airs Sunday, Oct. 28 at 9 p.m. ET/PT. In that time slot, the show replaces Shameless’s last Emmy Rossum-starring ninth season, which runs until its mid-season finale on Oct. 21. Just in time for you to get registered to vote, Showtime’s half-hour political docuseries The Circus continues its probe into the forthcoming midterm elections on Sundays at 8 p.m., while the Jim Carrey-starring Kidding continues the actor’s reunion with Eternal Sunshine of the Spotless Mind director Michel Gondry on Sundays at 10 p.m. There are also plenty of non-horror standouts on hand as far as movies go. 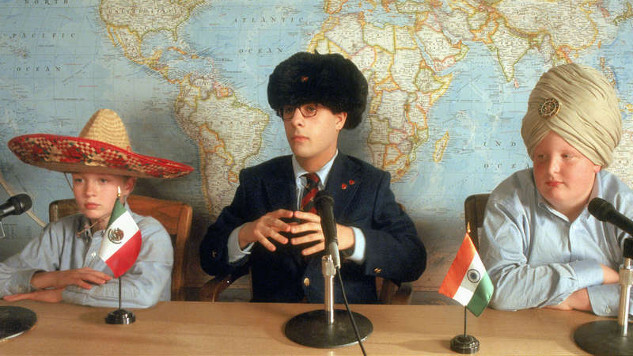 Showtime’s October slate is led by Wes Anderson’s Rushmore, which recently topped our list of the best movies of 1998, plus a few other major titles coming at the top of the month. James Cameron’s unsinkable Titanic, which has been missing from Netflix for quite some time now, arrives on Showtime Oct. 1. Christopher Nolan’s Memento, a non-basic cable edit of Basic Instinct and cult favorite Saved! also arrive that day. If you’re looking for something new to watch in the days leading up to Halloween, though, you should check out Showtime’s streaming collections, which feature unlikely picks like Cloverfield and Cell, as well as more familiar choices for the holiday, like the aptly titled Halloween II. On the documentary and comedy special side, Showtime also has Finesse Mitchell: The Spirit Told Me To Tell You from the former SNL cast member starting Oct. 19. Check out Showtime’s full October slate below.